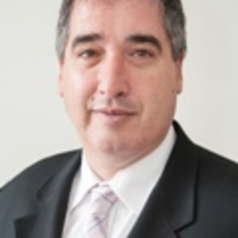 Dr. Adrian Baranchuk, a native of Buenos Aires, Argentina, obtained his MD from the University of Buenos Aires in 1990. After qualifying in Internal Medicine and Cardiology (1995), he completed a Clinical Fellowship in Cardiac Electrophysiology (1997). In 2002 he immigrated to Spain for a Research Fellow. Dr. Baranchuk was appointed as a Clinical Fellow in Electrophysiology at McMaster University in September 2003. Dr. Baranchuk was appointed as an Assistant Professor of Medicine at Queen’s University (2006), promoted to Associate Professor in 2010 and to Full Professor in 2016 (with Tenure). He has founded the EP Training Program in 2007. He is a member of numerous editorial boards (Europace, Annals of Noninvasive Electrocardiology, etc) and reviewer of several journals. He is currently the Editor-in-Chief of the Journal of Electrocardiology. The recipient of a teaching award (Outstanding Contribution in the Core Internal Medicine Program 2009) and 2014 awarded with the prestigious “Faculty of Health Sciences Education Award”. Dr Baranchuk was awarded with the “Golden Caliper Award” from the SOLAECE (Latin American Society of Pacing and Electrophysiology) for his outstanding contributions to science in 2014 and with the “ISHNE Junior Investigator Award” in April 2015. In 2016 he was distinguished with the “10 Most Influential Hispanic-Canadian Award” from the Hispanic business.ca and TD Bank. His first book, Atlas of Advanced ECG Interpretation (REMEDICA, UK) represents a big collaboration effort from well-recognized electrophysiologists of all around the world. His second book Left Septal Fascicular Block was released by SPRINGER in 2016 and his iBook “Electrocardiogrpahy in Pracitice: What to do?” has been number 1 in iTunes for several weeks and downloaded more than 1100 times in about 6 months (2016). His last book “Interatrial Block and Supraventricular Arrhythmias: Clinical Implications of Bayes’ Syndrome” was released in January 2017 by CARDIOTEXT. His last book “Clinical Arrhythmology 2nd Edition” was released in July 2017 by Willey. His next book, “Brugada Phenocopy: The Art of Recognizing the Brugada ECG Pattern” will be released by ELSEVIER in December 2017. He has published more than 460 articles in well-recognized international journals (383 in Pubmed), 43 book chapters and presented more than 225 abstracts. He is the President of the International Society of Electrocardiology (ISE) for the period 2017-2019. He is currently serving as Canadian Vice President of the Interamerican Society of Cardiology. He is in charge of organizing the ECG module for the trainee day and the ECG Workshops during the Canadian Cardiovascular Congress. He chairs the Annual Cardiovascular Symposium at Queen’s University. He lives in Kingston, Ontario, Canada with his wife Barbara and his daughter, Gala.